So began the biggest presentation I’ve ever given in my life. I was standing in front of some 1,500 people on stage at TEDxYYC, the red numbers on the timer in front of me mercilessly counting down. My family and friends were in the audience, along with an ocean of strangers. I’d imagined crossing that stage before – but right up until the minute I was standing there, I never thought it would actually happen. And then, on June 26, that daring little dream came true. The first ten seconds were pure terror. You can’t really tell in the video, but I was about as nervous as anybody could be. But after that – after remembering my lines and launching into it without tripping on my words, I was off. It was electric; enormous energy – a total blast. All the preparation – the practicing lines in front of the mirror, the memorization – it all paid off. And aside from a shirt that’s a bit more crinkled than I’d like (sitting and nervously waiting for your turn to go up can take a number on your wardrobe), I feel so proud and lucky about what I was able to do. One of the questions people keep asking is how I wound up speaking at TEDx in the first place. For those wondering how to give a TED talk or how to speak at TEDx, you should know it’s an invite-only affair. You can’t pitch. They come to you. The truth is that the seeds were planted over 3 years ago in an Irish pub in northwest Calgary over a spicy chicken sandwich. The sandwich isn’t important, but the meeting would be. I’d been asked to meet with the sister of a friend of mine – Kate McKenzie. Kate had big plans – plans too big to fit in that little pub. As a teacher at an all-girls’ school, Kate was responsible for helping her students understand current events. Sadly, current events are rarely good news. Her students were learning to see the world as a dark, sad place. Kate wanted to change that, so she’d come up with an idea: she’d tour the world collecting positive stories and share them to show that hope was alive and people are, indeed, good. (Told you she had big plans). The problem was, she didn’t know much about the web, or marketing, or rallying people behind an idea – things her brother Dave (my friend) thought I might be able to help her with. He knew I worked in SEO and had seen my penchant for getting people excited about the things I was doing. I decided it was worth spending an evening helping out a stranger. So I went to meet Kate. It was one of the better decisions I’ve made. We weren’t strangers long – Kate and I quickly became good friends. 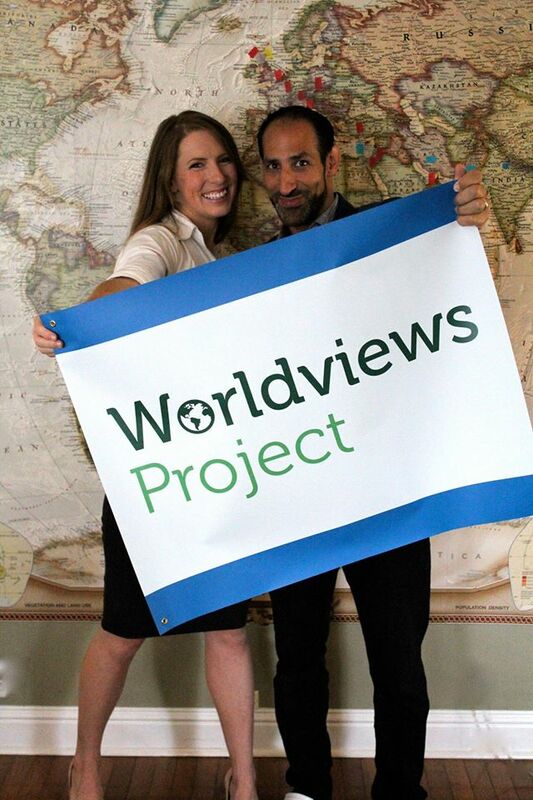 Her idea turned into Worldviews Project – and after months on the road, unexpected sicknesses and some tough time away from her now husband, she collected some pretty amazing stories and has inspired all kinds of positive changes across the planet and right here at home. Kate has been asked to speak on the radio, television, local events, Pecha Kucha nights – and a TEDx talk of her own. …to become the best looking man in the world. And so, my name comes up. Kate goes to bat for me – pushes for the speaker’s board to give me a chance. I got my shot, and it worked out! Don’t underestimate the power of a single genuine connection. I met three of my best friends because I decided to go out skateboarding one summer day over a decade ago. I wound up working in SEO because of a friend I connected with in a University class who tipped me off to the agency and a field that had never even been on my radar. And I got my first copywriting gigs after meeting Chris Pecora (who designed my slides for this talk) at a concert I agreed to go to at the last minute. Little things have a crazy habit of becoming big, enormous things, even if you couldn’t have possibly imagined they would at the time. Put yourself out there. Give people the time of day – whether they’re in a position to help you or not. You just never know how things might turn out years down the road. 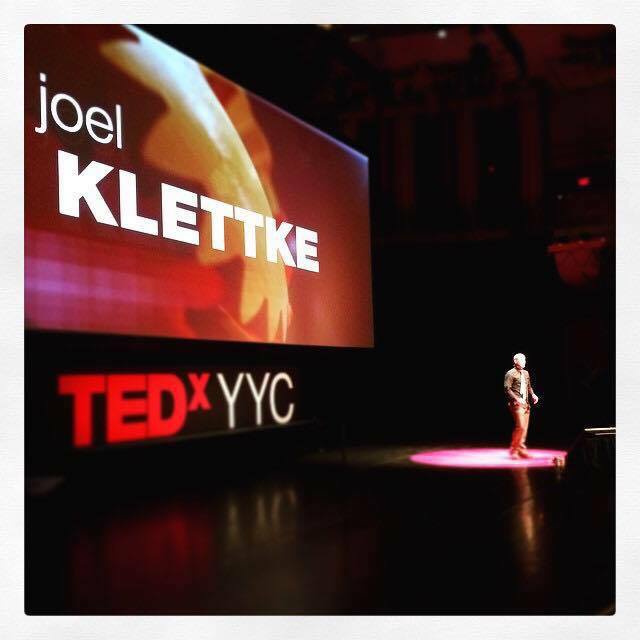 Perhaps its just because it is on the topic of manipulating Google’s search results, perhaps its the few dorky jokes or interesting examples, perhaps its because you’re the best looking guy in the world – either way this is one of my favourite TEDx talks – great job Joel! You couldn’t tell you were terrified, really well presented. Well done for realising a dream. Thank YOU Rick! Such an incredible experience. This is so legit Joel, congratulations! Great presentation and man that best looking man in the world line must have worked like a charm in the bars ;).